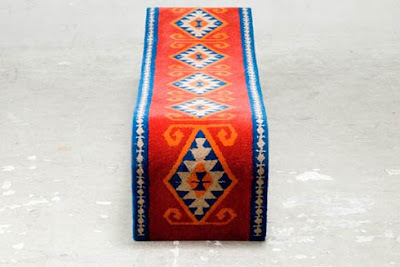 Designed by the Turkish design brand Maybe Design and featured at the recent Vienna Design Week. This Grandbazaar Sofa is an authentic oriental product. 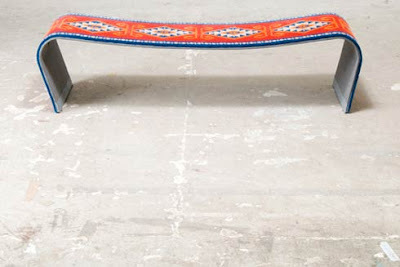 This grandbazaar sofa look so thin and fragile, but i think the designer already tested this oriental product for its durability. Nice seating anyway..
Wow that is one interesting sofa. Not sure it would match my living room, however. 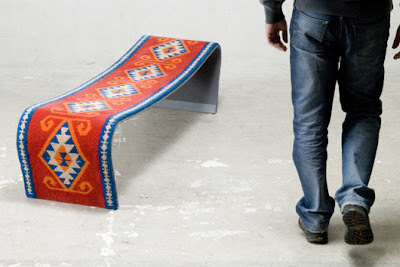 Wow, talk about a magic carpet! What an intriguing look.